18 inch signature series large barbecue sauce mop by Steven Raichlen has a 13 inch long sturdy wooden handle. 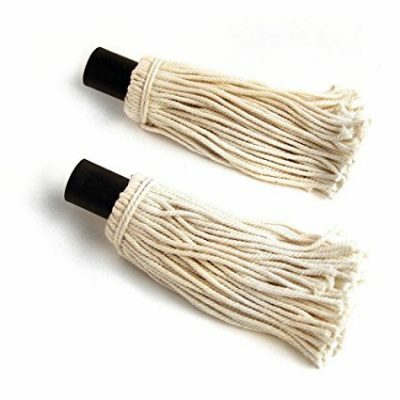 The replaceable cotton sauce mop head has 4.5 inch long cotton cords. Part of the high quality Steven Raichlen line of best of barbecue products this is the highest quality sauce mop we have seen to date and we have seen an used quite a few. 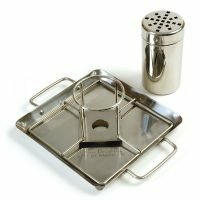 The large barbecue sauce mop is not limited to just applying barbecue sauce you can also use it for basting mixtures, flavored butters, glazes, and mop sauces. With the addition of extra replaceable heads you can easily switch from sauce to sauce without having to clean the head. 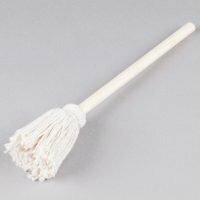 Only a single head is included with this mop but we have you covered. 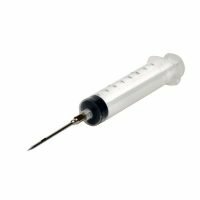 Extra replacement heads can be purchased here or will be suggested at checkout. 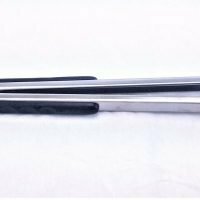 The hardwood handle of the barbecue sauce mop is painted black and has a sturdy metal loop for hanging. At 13 inches long it can sit in a very large container of sauce without the handle getting sticky. 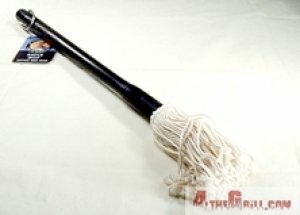 There is also a version of the large barbecue sauce mop that comes with it’s own bucket. Why do you want a high quality sauce mop? Low end sauce mops will shed leaving cotton strands in your barbecue sauce and on your food. Steven Raichlen’s 3 rules of great grilling: Keep it hot, Keep it clean, Keep it lubricated. 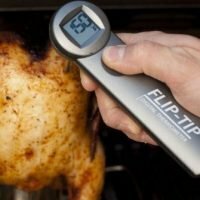 Basting is one of the best ways to keep grilled foods moist. 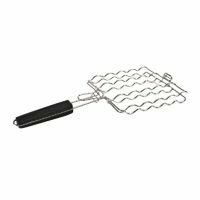 Use the large barbecue sauce mop with an all natural cotton head to apply your favorite basting mixtures, flavored butters, glazes and barbecue sauce while the food is on the grill. Brush head detaches for easy soaking and cleaning.